Rent villas and houses in Štifanići - Stifanici, Croatia with private pools. In the small village Štifanići near Poreč is located this welcoming holiday house with pool. The traditional building elements, such as stone and wood. This beautiful villa is located at the edge of the village Stifanici. The interior is modern and luxuriously equipped. This accommodation is comfortably, spacious and friendly. This semi-detached house furnished to modern standards is in the village of Stifanici. Constructed with stone and wood, it has a traditional finish. 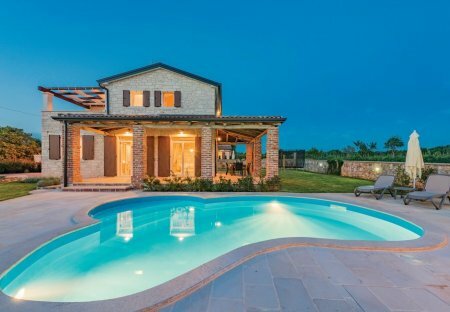 This 3-bedroom villa for up to 6 guests is located in Porec and has a private swimming pool and.